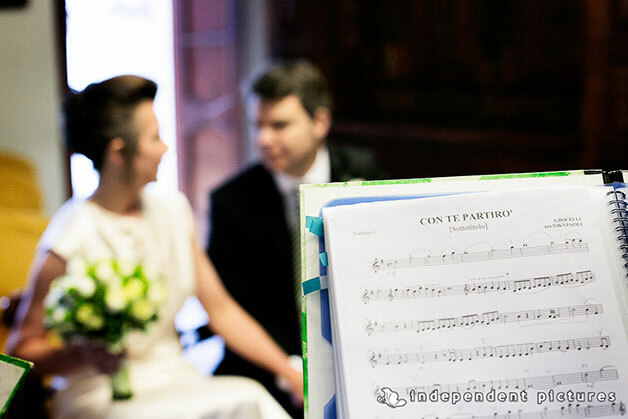 e had some lovely weddings in the last few days and more to come in June! But just to do a little summary here you can find some great shots and some lovely stories! 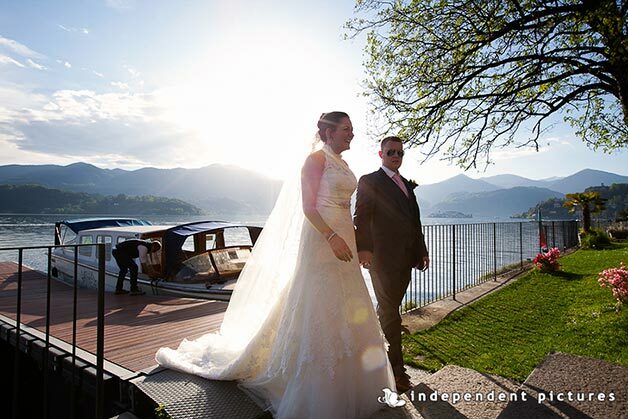 Valentina planned a couple of lovely weddings on Lake Orta. First one was for Saoirse and Declan’s wedding. They had a lovely pink themed wedding with catholic ceremony in Maria Assunta Church with reception to follow at Ustaria Ca dal Rat. An intimate group but they had a lot of fun… a wonderful group coming from Northern Ireland! Then a little elope for Natasha and Theo. 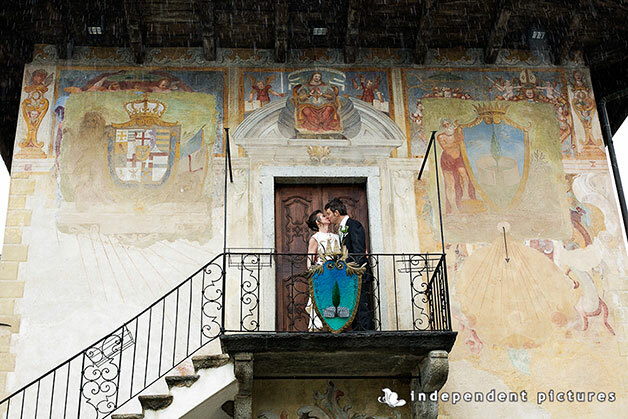 In spite of a rainy day this wonderful couple had the most romantic day! Orta was just for their own. 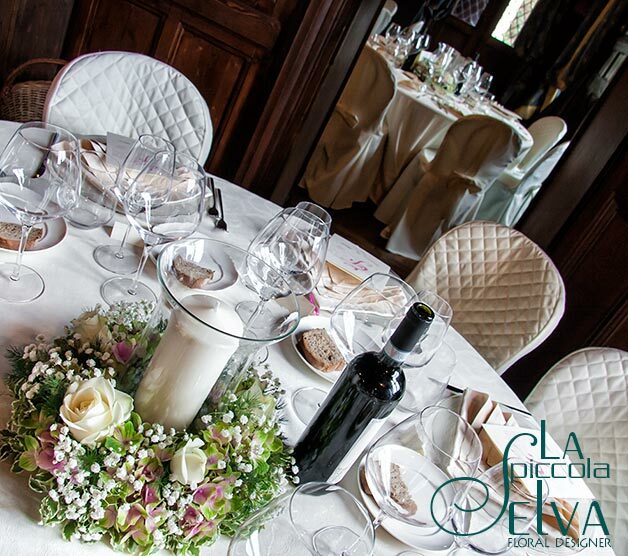 An intimate civil ceremony at Villa Bossi and then a boat tour with a romantic dinner for two. One of the sweetest couple of the season for sure! 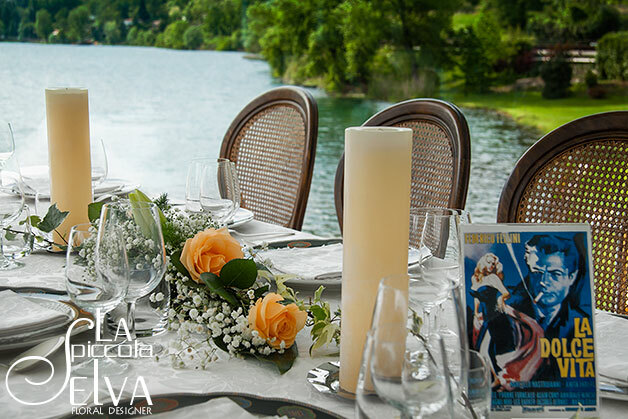 And then is the turn of Monika and flower designers of La Piccola Selva had some busy days all over Piemonte lakes: Lake Maggiore, Lake Orta and smaller Lake Mergozzo! 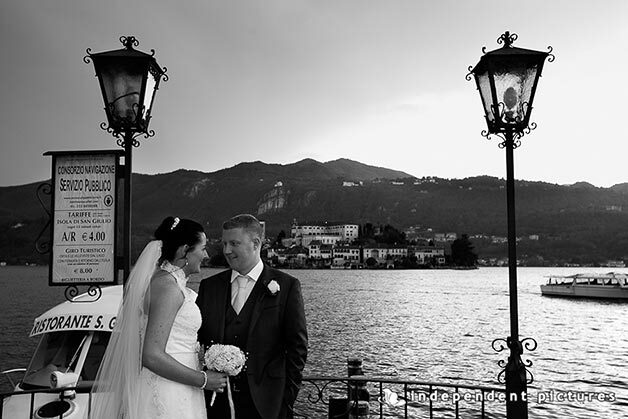 First event: Caterina and Fausto’s wedding, in Pallanza on Lake Maggiore. 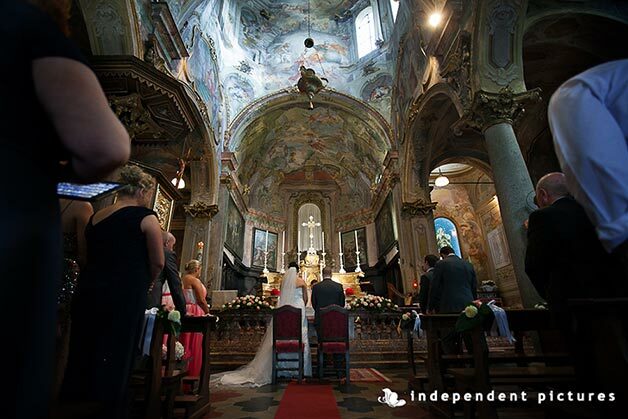 A lovely ceremony in the church of St. Leonardo and reception to follw in a wonderful castle close by Arona overlooking the Lake. 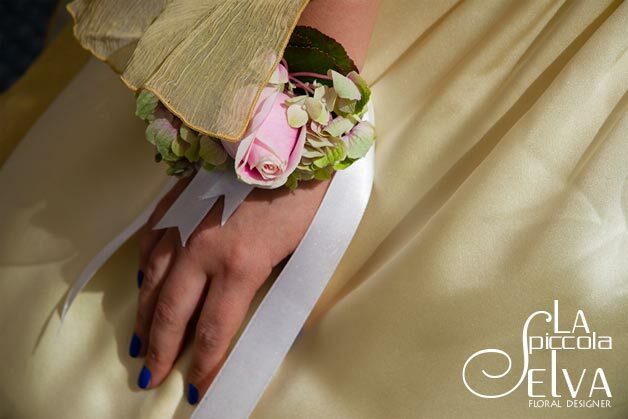 You can see some floral detail here as bridesmaid’s bracelet corsage and centerpieces in the castle. 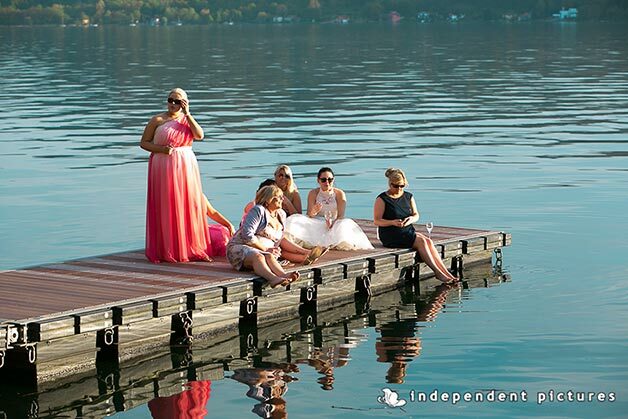 Then second event: Sara and Alberto’s wedding on Lake Orta. 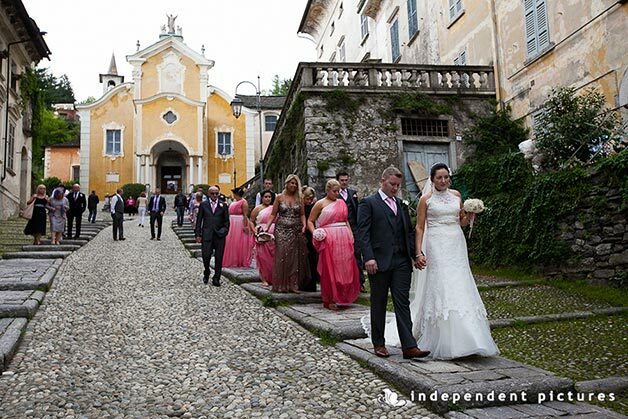 They choose a romantic civil ceremony at Villa Bossi on the shores of Lake Orta. A lilac-purple-ivory themed wedding… just like Monika adviced (see more on our post Inspiration Purple). 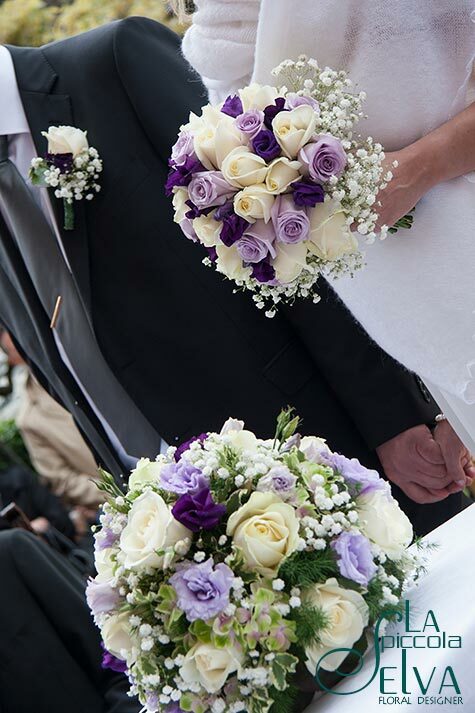 Once again purple, lilac and cream made the perfect match for and elegant wedding. What do you think? Just look at some pictures of the bouquet and table of the ceremony and of course… Sara and Alberto’s first kiss as husband and wife! 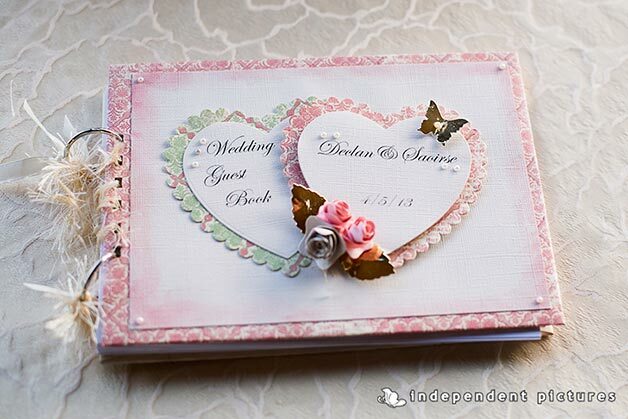 Third event: Serena and Pietro’s wedding. 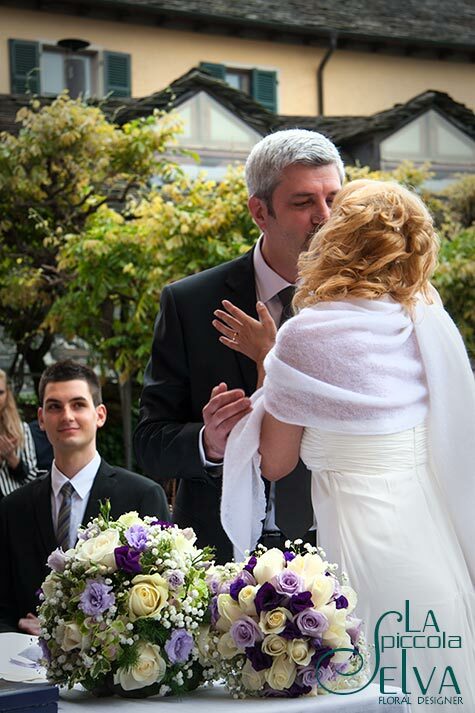 Another Italian couple who chose Lake Maggiore and St. Leonardo church for their catholic ceremony. 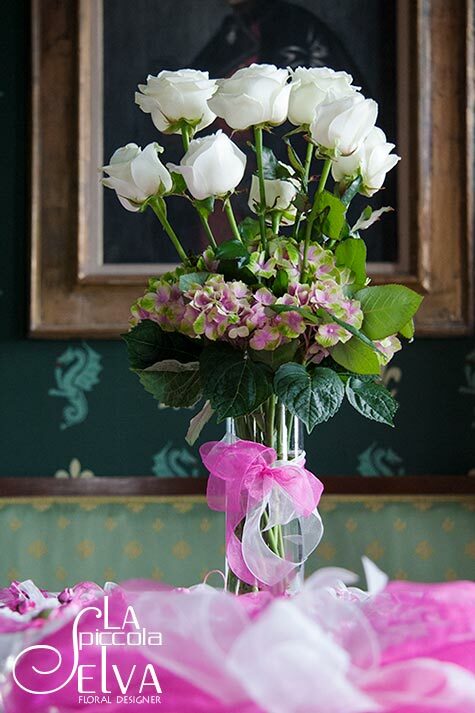 They choose white lilies and peach avalanche roses for the arrangements in the church. 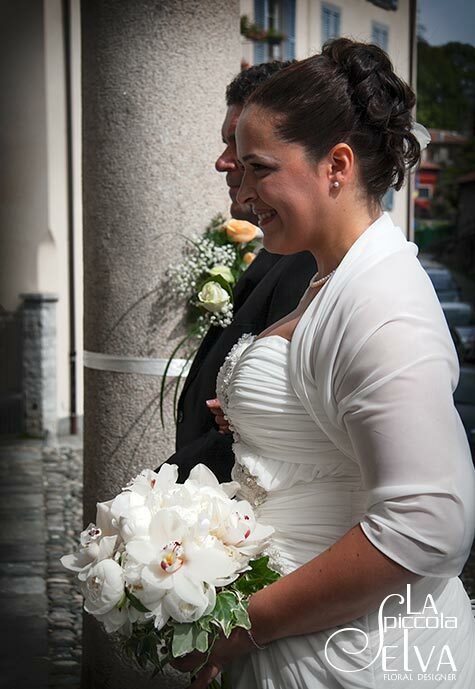 You can see here Serena and her dad at the entrance of the church, isn’t the bouquet just beautiful? it is all made with full white peonies and orchids. 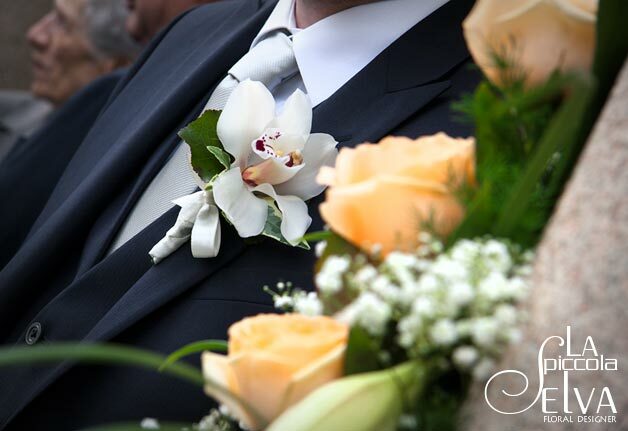 Groom had a wonderful white orchid boutonniere too. 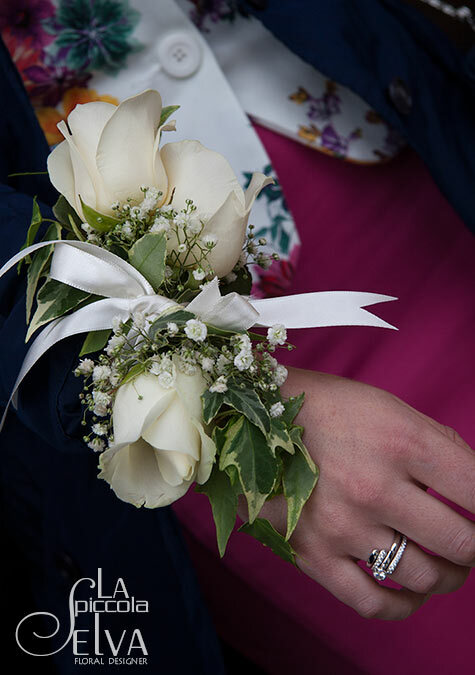 Monika created a lovely bracelet corsage for bridesmaids all made with white roses and baby’s breath. 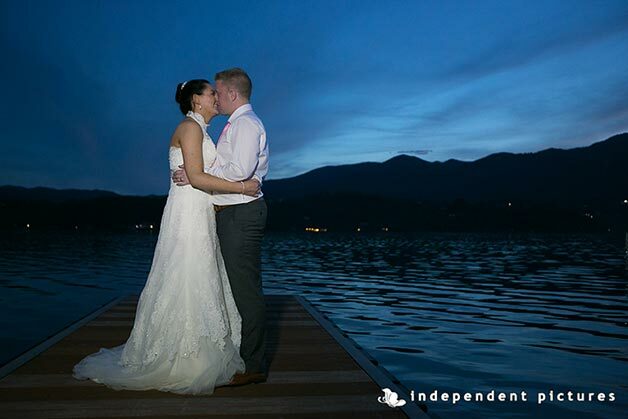 A brand new location for their reception: smaller Lake Mergozzo, located in between Lake Maggiore and Lake Orta. Restaurant had a wonderful veranda facing the lake and its beach. 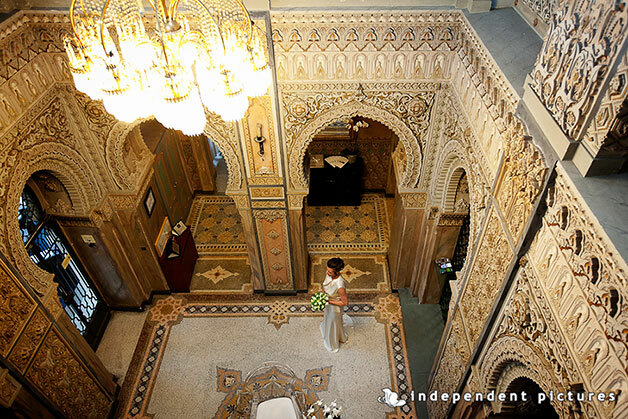 Have a look at the photos here, no doubt it is a very appealing venue for a wedding reception! And this is all for now…. 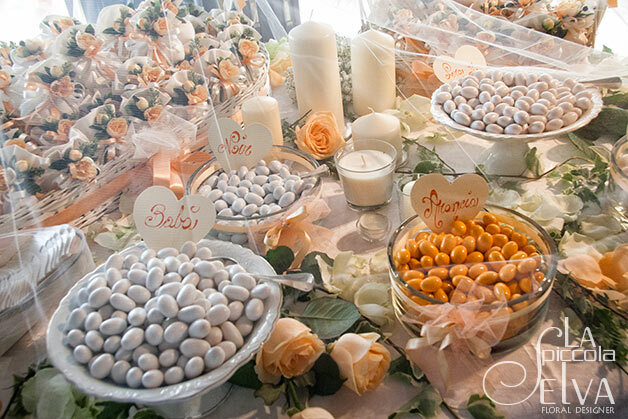 stay tuned for more weddings for upcoming month of June… we have many more surprises to tell you about!